We often raise the problem of the salons as well as on-the-go estheticians missing out on the opportunities to boost their income. One of the best ways to increase your revenue for a beauty industry is retail. You have to start selling products to your clients. It will not only boost your sales, but it is actually well known that people return to a salon where they’ve purchased something way more often and you should be taking advantage of this. Just look at the at-home skin-care machines sales on Amazon or E-bay! 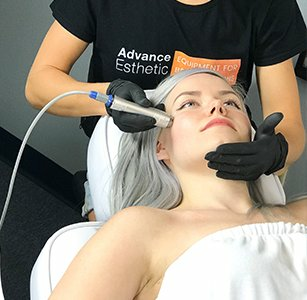 Every beauty blogger, influencer or a beauty products review blog has already done advertising for you so your clients will want to have one of those fantastic rejuvenation devices at home at some point. So think about how they can buy the machine from you. In this category, you will find devices for facial rejuvenation at home. 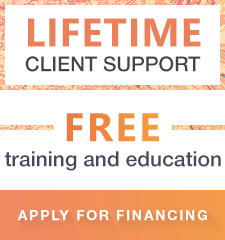 If you are thinking about taking advantage of this opportunity and offer people a chance to maintain the results of salon facial and body treatments in-between the meetings just give us a call, we’ll be happy to talk you through the process. These are portable easy to use face and body skin rejuvenation devices that you can also use if you make on-site visits. They are very light and quite powerful. They are easy to set up and you can be ready to go in just a couple of seconds. 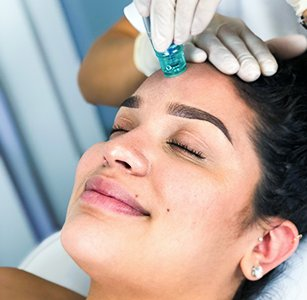 These devices give you the freedom to provide a wide range of advanced in-demand skin-care treatment without a) breaking the bank and b) having to carry around large heavy equipment. So, let’s look at benefits of some of the fantastic machines represented in this category. LED light therapy is the infrared light therapy that uses different wavelengths (colors) to address and treat a line of different skin problems. The light bypasses the upper skin layer without damaging or engaging it in any way and reaches the deepest foundational levels where light is transformed into energy. This energy is the key to skin rejuvenation, it speeds up all of the processes of cell turnover, boosts cell metabolism and most importantly restarts or increases the structural proteins productions that are called collagen and elastin. LED light therapy is a widely researched advanced skin renewal treatment with proven results. An effective lifting of the skin through vital protein boost even in the hardest to treat areas like sagging jawline and eyebrow area. Skin renewal for a flawless complexion brightened luminous skin. Treatment of the deep-set wrinkles. Safe and pain-free treatments that last from 15 to 30 minutes. Another great way to rejuvenate the skin is with galvanic therapy. This is a way to get vitamins, nutrients, anti-aging agents deep into the skin where it actually matters. Galvanic facials use a galvanic current to drive water-soluble anti-aging or hydrating substances to the deep layer of the dermis. This is the best way for a beauty product to penetrate and be absorbed by the skin. In our store, you’ll be able to find equipment for facial rejuvenation for sale. In this particular category we have the representation for all of the public favorites: the professional machine for salon use, the portable LED light device and the multifunctional options with fantastic additional treatments for your beauty practice. We work with the best manufacturers in the beauty industry that are fully dedicated to the research, product development and safety, so you can always be sure of the quality and provide safety to your clients. We offer warranty and, of course, free product training. 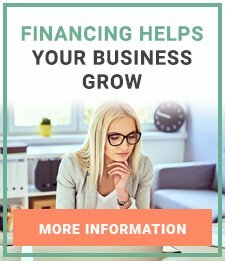 We are here to help you jump start your business and our trained and knowledgeable staff can quickly answer any and all of your questions. We provide free training and can help you to find out everything there is to know about any machine or equipment we sell. We are ready to share our knowledge and experience. In this category you can find Facial rejuvenation at home. 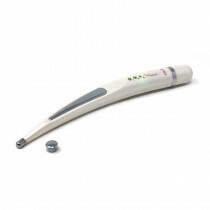 Advance Esthetic provides a wide range of professional beauty salon equipment. If you are looking for high quality and great prices for Facial rejuvenation at home, you have come to the right place. Our aim is to offer the highest quality of products, the largest range of equipment, and the best service to our customers. We also proudly provide training sessions for instruction on how to utilize all the equipment we sell. Check out the items you like and call us to receive professional advice on everything you are interested in!